Henry Firth and Ian Theasby of Bosh.TV tell Womenhealthier.com how to adopt a vegan diet. Chickpeas, cashew nuts and ”magic dust”. Those are some of the must-have staples beginner vegans should always have on hand, according to the duo behind Bosh! who run the largest plant-based recipe channel on Facebook. Just a few years ago, veganism was seen by many as a fringe dietary lifestyle. But the environmental, health – and for some, the moral – imperative for reducing the world’s meat intake is inspiring more and more carnivores to wean themselves off resource-intensive red meat, and adopt a plant-based lifestyle. 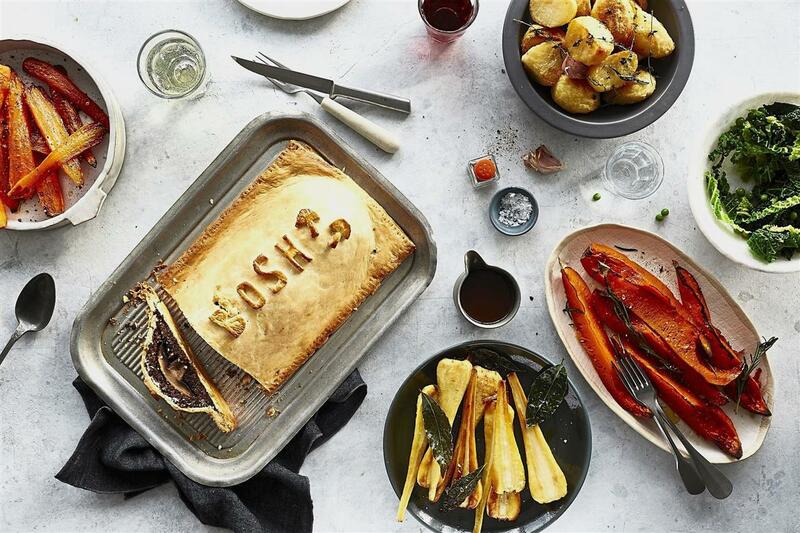 And thanks to the growing movement of vegan influencers and social media stars like Henry Firth and Ian Theasby of Bosh.TV, veganism is no longer as daunting as it perhaps once was. 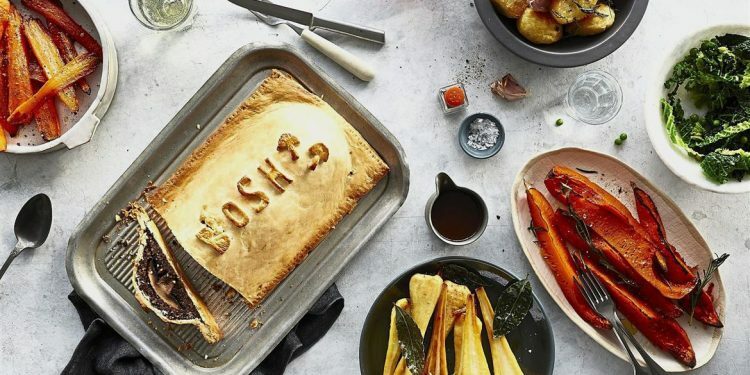 Several days a week, Bosh.TV’s 1.8 million Facebook fans tune in for new vegan recipe videos – short one-to-two-minute instructional videos shot overhead, BuzzFeed Tasty-style. 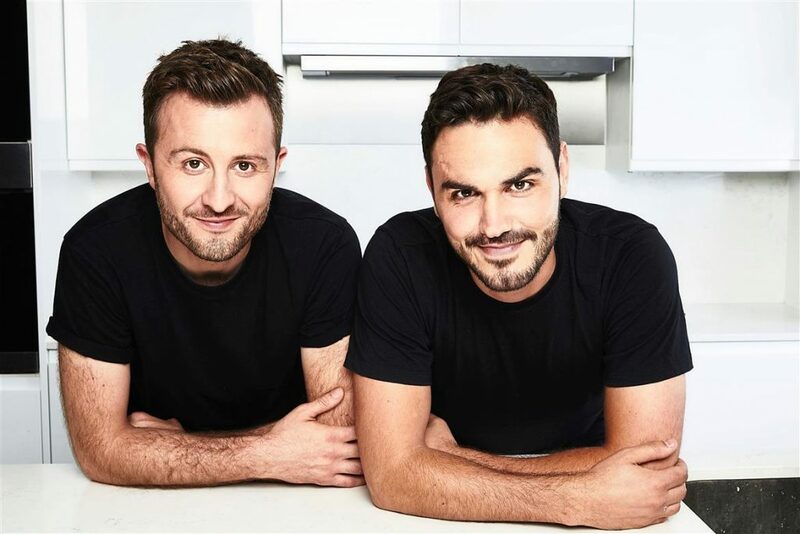 The British duo have been called the “Vegan Jamie Olivers” of the UK and their first cookbook BOSH!- Simple Recipes. Amazing Food. All Plants became the fastest-selling and first-ever vegan cookbook to top the bestseller charts in the UK following its release this past spring. What are your top tips for adopting a plant-based diet? There are so many amazing vegan recipes out there. Chances are, whatever your favourite meaty dish is, there is a vegan alternative. In our cookbook, we have recipes for tofu fish and chips, a portobello mushroom burger, buffalo cauliflower wings and fish pie. You can pick up ingredients for our recipes from your corner shop, but it’s always good to have a well-stocked cupboard. Also it’s surprisingly easy to lead an unhealthy vegan lifestyle, consisting of chips and pasta! That’s why we always say to eat the rainbow. Make your dishes as colourful as possible by filling them with lots of different veggies so you’re getting all the right nutrients. What are some common myths you’d like to debunk about going vegan? One of the biggest misconceptions about being vegan is that you only eat salads and veggies. There are loads of brilliant resources out there to help you make great food. People are often surprised at how hearty and satisfying our dishes are, so don’t be afraid to experiment with new ingredients. Once you’ve tasted how good they are, you won’t want any meat to go with it. Whereas if you are eating salads or pasta every day, you are going to get bored pretty quick. What are the pantry and fridge staples you should always have on hand? Chickpeas are a definite! They are incredibly versatile. You can pop them in a curry or make falafel. But you may be surprised to know that the liquid in the can (called aquafaba) is a brilliant alternative to egg whites. You can use it to make meringues or mousse. Cashews can also be used for so many different things. You can make a ranch sauce to go with some cauliflower buffalo wings, or you can soak them, whizz them up and make cashew cream. And mushrooms are so versatile and a brilliant alternative to meat. But what may be slightly out of the usual is that we use portobello mushrooms to make burgers, king oyster mushrooms to make mushroom scallops, a mix of different mushrooms to make a creamy seaside pie. They soak up all the flavour and add a nice, meaty texture for all the people out there that miss meat. Oh, and nutritional yeast. We call this “magic dust”. It’s amazing. It can add a nutty, cheesy taste and is also a great source of vitamin B12. What are some of the changes people can expect after going vegan? When we went vegan, we saw so many health benefits. We found our hair grew thicker, we lost excess weight, we were sleeping better and woke up feeling fresher. Henry was even cured of his hay fever! A vegan diet can be much cheaper, as arguably you’re cutting out the most expensive aspect – high-quality meat. It doesn’t have to be complicated either, every ingredient can be found in your local shop.